With herring, beets and miraculously cheesy breads, restaurateurs and cookbook authors are importing the flavors of Russia, Georgia and Ukraine to America. "Even in Russia, Russian food has a negative connotation," says Bonnie Morales, chef and owner of the Soviet-inspired restaurant Kachka in Portland, Oregon. "In Moscow the streets are lined with sushi restaurants." But now a slew of Russian—and Ukrainian and Georgian—restaurants and cookbooks are popularizing this heritage in the US. For instance, when Maia Acquaviva opened the Georgian restaurant Oda House in New York City three years ago, "my friends and family told me, 'People don't even know where Georgia is,'" she says. That didn't matter. 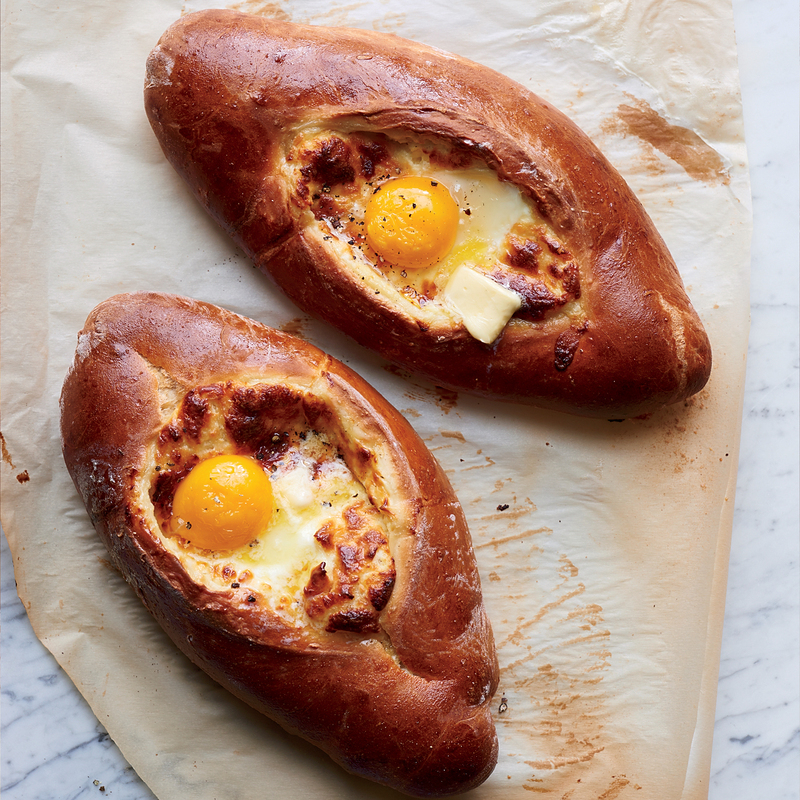 Her khachapuri adjaruli—a bread filled with melted cheese and a runny egg—became a minor sensation. Why is Russian and other Eastern European food popular now? For one thing, many of today's food trends—bone broths, no-waste, fermentation, pickles—are integral to these cuisines. Ukrainian chef and cookbook author Olia Hercules, for example, grew up eating the fermented foods that are catching on in the US, but, she says, "I never thought of it as a health thing. We never said, 'This is going to make you so probiotically active.'" 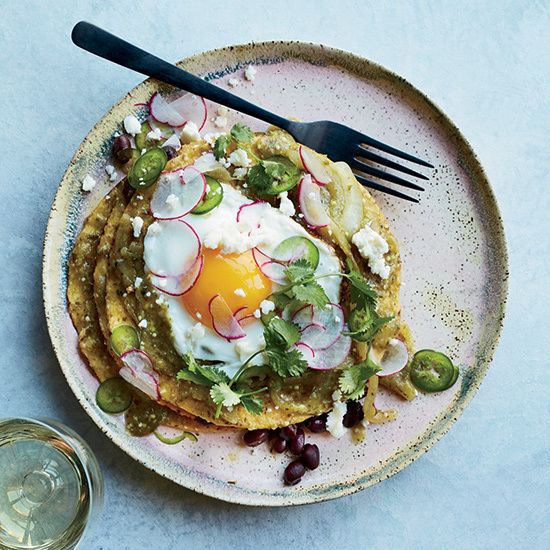 Morales, for her part, believes that interest in Nordic cuisine is "a nice little springboard" toward countries farther east. "There are lots of similar ingredients and philosophies," she says. In terms of flavors, "Russia is kind of like the last frontier." Bonnie Morales, whose parents immigrated to the United States from Belarus, grew up eating a typical Russian children's snack of cured roe on white bread. As an adult she became interested in traditions like zakuski, an appetizer spread of smoked fish, pickled vegetables and stuffed eggs served with shots of vodka. At Kachka, Morales explores zakuski mainstays like Herring Under a Fur Coat, a layered salad. At first she worried that Americans wouldn't take to it; but now, she says proudly, "We've made herring lovers out of Portland." 720 SE Grand Ave.; kachkapdx.com. By day, Sadelle's serves bagels and babka; by night, it's a candlelit brasserie serving Russian dishes like Trout Francesca. It's owned by the team behind Carbone and named for partner Jeff Zalaznick's Russian great-grandmother—"the only person in my family who could really cook." 463 W. Broadway; sadelles.com. Olia Hercules vividly remembers standing in her family's summer kitchen in the south of Ukraine, her mother boiling pots of raspberry jam and skimming the foam off for a snack. It's a memory that speaks to the region's vibrant flavors and no-waste cooking. In her new cookbook, Mamushka, Hercules revisits the classics with ingredients available in London, where she lives now. Her grandmother made solyanka, a rich and slightly sour soup, with boiled ox heart; Hercules opts for spicy chorizo or salami. Maia Acquaviva was a plastic surgeon in her native Georgia but changed careers in New York when an orange cake she made for a friend's birthday became a word-of-mouth hit. ("I don't have recipes," she says. "If you don't know me, you don't know this cake.") At Oda House, she introduces Manhattanites to dishes such as the cheese-filled bread khachapuri. "It's like pizza in Italy," she says. "Every region has its own kind"—like her version from Adjara. She also works to convey a sense of Georgian hospitality. "If you knock at the door and ask for water," she says, "Georgians give you wine." 76 Avenue B; odahouse.com.